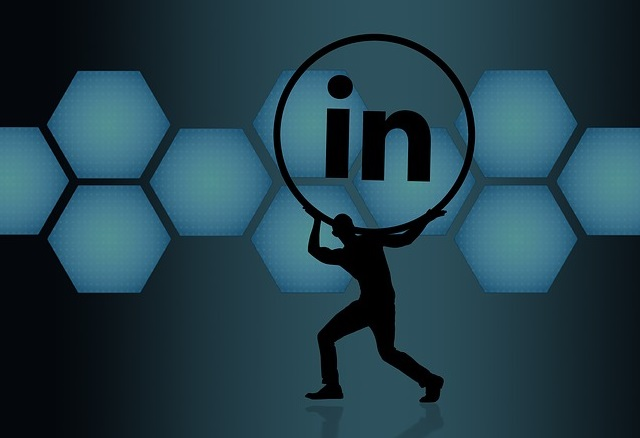 Bootstrap Business: Your LinkedIn Presence Needs Work. Start Here. Your LinkedIn Presence Needs Work. Start Here. Is your LinkedIn presence a net positive for your personal brand? If your answer is anything other than “yes, absolutely,” you have some work to do. The good news: it’s not rocket science to put your best foot forward on LinkedIn. The bad news: every day you wait to meaningfully improve your LinkedIn is a day on which you cede the conversation to your competitors and detractors. It’s time to step up and take control. Here’s what you can do today — or tomorrow, or next week — to make a better first impression. No one’s going to be typing your full LinkedIn profile URL into their browser, don’t worry. But a custom LinkedIn profile URL is still important. There’s no better way to linger on the minds of first-time visitors than a “firstname-lastname” URL. Fortunately, it’s easy to customize your LinkedIn profile’s URL. Just follow these simple instructions. It takes just a few minutes to confirm that your profile has accurate, current information about who you are and what you do. If you need to change anything, you almost certainly have the requisite information close at hand. This might take a hair longer, but it’s absolutely worth your while. A tight, comprehensive, on-brand LinkedIn profile is a great way to set yourself apart from the competition without crossing readers’ eyes. This LinkedIn bio for movie producer David Mimran is a perfect example, outlining the full breadth of Mimran’s past and present activities without throwing in mind-numbing detail or vacuous superlatives. Action speaks louder than words — or, in this case, a boring LinkedIn profile picture. Why settle for a stuffy headshot when you can reveal an essential truth about your personal or professional passions? There’s a reason the main LinkedIn photo for NBA superstar LeBron James features James doing one of the many things he does best — in this case, sinking a long two over some faceless opponent’s outstretched arm. Don’t shy away from asking your colleagues, clients, vendors — any connections — for LinkedIn endorsements. Like it or not, a surfeit of endorsements lends your profile credibility, forcing those who otherwise wouldn’t give you a second look to, well, give you a second look. Engage with thought leaders — and rank-and-file folks, too —who work in your industry. Every “like” and (respectful) comment is a chance to catch the eye of someone whose endorsement (or contract) could change the course of your career. That’s all the average person needs to buttress their LinkedIn presence and ensure that their voices stay audible above the day-in, day-out din. No matter how much else you have on your plate, you can find 30 minutes per week to attend to your most important professional social profile. Your image — and your ability to reach the personal and professional goals you’ve set for yourself — depends on it. I hope you enjoyed this blog post about how to improve your LinkedIn social network presence and personal branding. Interested in more articles about LinkedIn Marketing?